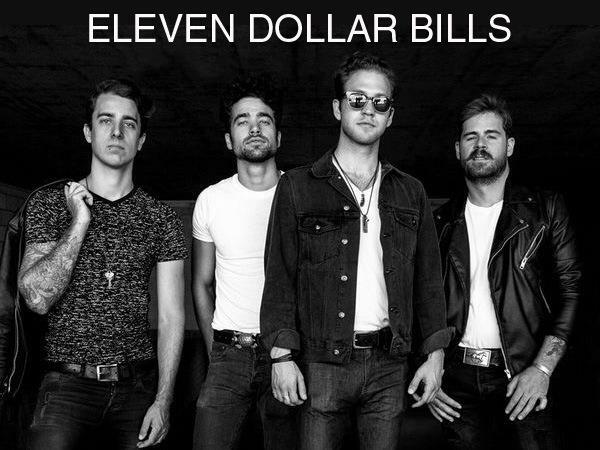 Join us this week as we welcome the rock band, Eleven Dollar Bills. The band is fearlessly led by the street-smart lion-hearted Jordan Casty. Jordan was born and raised in the concrete jungle of Chicago and his influence came straight up through the cracks in the streets. After playing and singing bluesy Rock n Roll through his high school years, Jordan ventured off to Boston to study guitar, vocals, and songwriting at Berklee College of Music. While in attendance at Berklee, Jordan fell in love with the lyrical style of Bob Dylan and put together a blues rock outfit with the name Eleven Dollar Bills as an homage to one of Dylan's lyrics. Upon graduating, The Bills set out on a tour of the USA they dubbed The Heroes' Journey. They hit iconic stages in Los Angeles and New York. They played dives in Texas and college campuses in Indiana. On return to to Chicago they they had a legendary moment where they were heard on NPR’s “Here & Now” and Local Loop Chicago called them “a rising star of the music scene.” There was nothing though that could stop them from the call of LA. Upon their arrival there they quickly got to work playing venues from Viper Room on the Sunset Strip, to The Craftsman in Santa Monica, to Sayers' in Hollywood. Along their journey, they caught the attention of platinum-selling producer Jim Huff. 6 months of studio life later, they now have a brand new EP full of killer sonic experiences to unleash on the ears of the world. We will talk to them about their upcoming schedule, get a behind the scenes look at their music, feature their latest songs, and ask them to share their message for the troops. Please visit Eleven Dollar Bills at http://www.billsband.com/ and spread the word. Fans are welcome to call in and speak live with them during the show (718) 766-4193. Our message to the troops: WE do what we do, because YOU do what you do.